Authorities at the Entebbe International Airport and the Ministry of Health have started screening all passengers returning on flights from the Democratic Republic of Congo. The development comes after a reported outbreak of Ebola in the DR Congo. 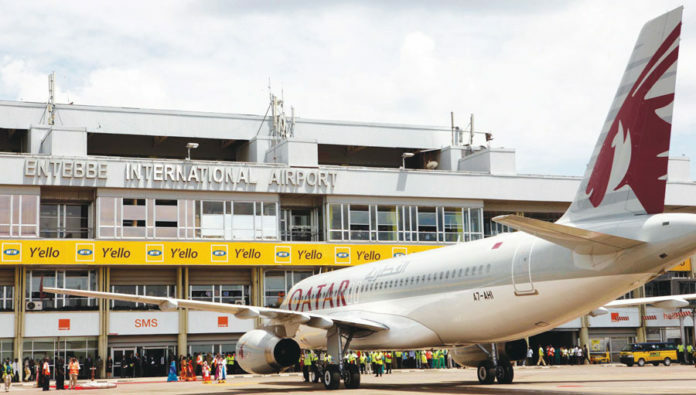 The screening at Entebbe International Airport started on Friday evening, a health officer, James Eyul has confirmed. The World Health Organization on May 8, scaled up response after two out of the five people tested for Ebola were found positive. The samples had come from Iponge Health facility located in Bikoro, close to River Congo. WHO director general, Dr Tedros Adhanom Ghebreyesus on Saturday travelled to the Democratic Republic of the Congo to assess the needs of the response first-hand. The WHO has made $1 million available to stop the virus spreading, judging that risk was “high,” a representative of the UN’s humanitarian affairs agency OCHA told reporters Friday.